(There can be many similarities in dementia symptoms, depending on type of dementia. But remember that every individual’s swiss-cheese holes can be different. Strategies for when both husband and daughter away from house. Names are a temporary adaptation, for people, animals, and objects. So find adaptations. Set time limits for each visit, whether at my home or yours. Relationship with various belief systems may revert to earlier status. Effective communication can be a stigma-preventative. My music can be either individual instrument or voice, but rarely both together. Playing “pentatonic” instrument can be almost addictive for me. Even tho no longer ability to do certain crafts, seeing those supplies still triggers my creativity. Find strategies to complete or embellish “borderline” projects. When low abilities, watching movies is limited to oft-repeated shows, or scenery with no words. Tiny strokes can carry a blessing of learning how to best prepare for next step of progression. 1). If both husband and adult daughter gone (to work, etc) for more than a couple hours, I have call-in system. If I do not call/text assigned person on the hour every hour, then they will attempt to call me. If they cannot contact me then someone will drive over to physically check on me. 2). Son bought chalk-board for entryway, so I can remind myself of where husband has gone and when he will return. 3). Husband has bought his first-ever cell-phone this year, so that I can call him when needed. 4). Daughter posts schedule for her and grandsons on the fridge, so that we minimize scheduling problems. Recently discovered more problems with names. Name REPRESENTS identity – it is not the identity itself, so do not panic. 1). Went thru all the red tape and $500 to legally change my name nine years ago, on my 50th birthday. Now sometimes I am not responding until I am called by my birth name of Belinda or my nickname Bindy. 2). I named my new Service Dog trainee “Partner”, but do not remember his name and call him “Hero” (my first SrvDog) – so now quit trying to remember new name and he is “Hero Partner” — when i remember full name. 3). Sometimes not understanding the verbal selections for foods. These are the times that I will need a “cheat” book of pictures for what the standard side-dishes look like, because I may not recognize the words for “french fries”, “hash browns”, etc. 4). Since I often do not recognize husband in social environment, dog has been trained to find him. Whether at my home or yours, one hour must be the time limit for visits, or consequences are too severe for balance beam of cost vs benefit in the visit !! Maybe I should make a sign for entryway. Decorating “Christmas” tree stands large in my emotional context of family memories, and since I am repeatedly asking why I cannot have one, I decided to resume it despite knowing that I have theological “reasons” for quitting the tradition. 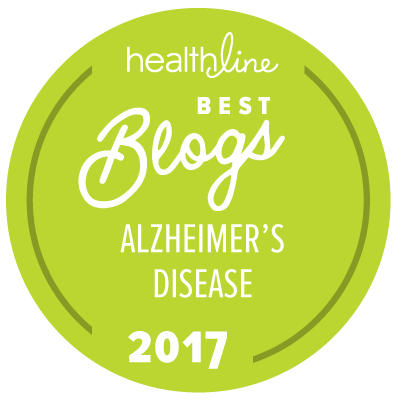 I think that communication is primary pivot-point for all the major topics surrounding the “dementia” issue today, one of which is stigma. Suggest we change the conversation from how can we “avoid” stigma for Persons With Dementia … into how can we ENCOURAGE respect for Persons With Dementia? Preventing or resolving these issues requires effective communication between persons who have dementia, and persons who do not have dementia. Too often folks do not realize communication is possible, then they need to learn tools to maximize the possibilities. Sound distortion has progressed to the point that I may enjoy ONE or at the most two vintage songs on my Favorites list. I can never handle music simultaneously with movement or talking from other people. I can seldom handle music with more than one instrument, so enjoy a cappella and solo instrumental most. Because the notes in the Pentatonic scale all harmonize with one another, there are no wrong notes. This year my husband gifted me with a Hapi Drum. The tone is similar to singing bowls or musical bells; another soothing pentatonic instrument to go with my lap harp, which has also been revised to a pentatonic scale. Creating makes me feel alive, so I want to THINK that I can do sewing and stuff for as long as possible (even after I am not really capable of doing it). At this point, My tremors have become too severe to do any kind of painting, or mixing for designing fragrances, without help. My memory for the beginning process of crochet has become poor enough that I now often need help with the cast-on process of new project. We bought sewing machine early 2016 … which has never been used. … and I do not feel bad about it, because seeing it there is HELPFUL for my health !! Even if I never have another day that I both have time and am capable of using it. I have a box for almost-complete projects, and projects that only need embellishment. This is for when I need to craft, but do not have much capabilities available. One element of this box is rather “empty” coloring pictures, that I can fill with zentangle patterns … THEN color. This creates a picture that is more entirely by me, because I created much of the design inside the very open picture which I started with. 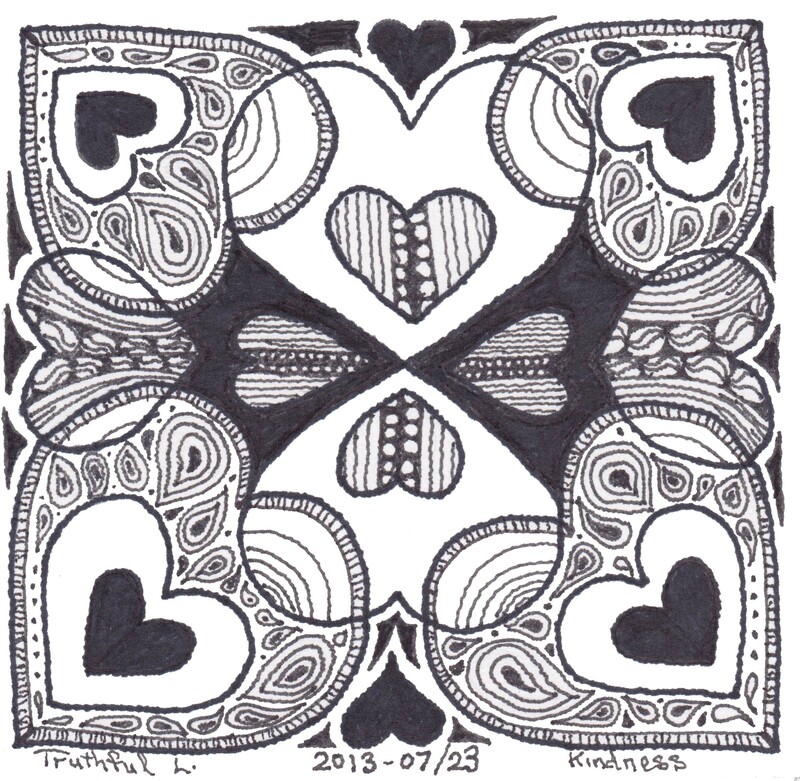 An example of “Zentangle” is included in the Links. Film: Flashbacks, sub-plots, and multiple characters make it difficult for me to enjoy movies and shows, unless I have seen them many times. So on my cognitively highest-connecting days I will be adventurous and try new movies and shows, in order to get a larger listing of options for lower days when I need a repeat performance in order to enjoy watching TV. On my worst days, I enjoy scenery with music, or the webcam at Monterey Bay Aquarium. (See link in listings at bottom of entry). Tiny strokes have given me an opportunity to prepare for symptom progression in a gradual way. Compensation strategies and projects previously assigned to “the week after” gradually become integrated into my “new normal”, then new lower-level strategies/projects need to be found for during the week after an event. Cooking times chart on microwave, but problem remembering to use cooking glove (and HOW to use potholder, when scrambled). Had used pre-measured motel coffee packets & motel-sized coffee pot. Now using Toddy Cold-Brew Coffee which means nothing hot to maneuver. EZ Laces No-tie, reflective, elastic shoe laces ($8 on Amazon). BSN Syntha-6 Isolate PROTEIN powder drink – Ice Cream flavor ($30/24 srvgs Amazon. Graphic: This “2016” frame by Sandy Hunter, specifically designed for filling with Zentangles. * Admin issues: SHARE dementia awareness thru buttons below. Feel free to leave your thoughts in the form of comments, but please filter your comments with truthful loving kindness to all concerned. If interested in receiving notice of future blog postings, subscriptions are available through a “follow” button in the upper left corner (MS Explorer) or lower right (Safari, Mozilla Firefox and Chrome). If there is an advertisement below, I have no control over what is shown. My own full legal name is Truthful Loving Kindness. My current diagnosis is Mild Cognitive Impairment, but my neurologist said I am in a unique position for helping because I have “one foot in each door”. Copyright 2016-12/31 with 20hrs invested. Search terms: dementia, strategy, communication, arts, relationship. This entry was posted in Action request, Arts n Crafts, Communication, Crucial, Dementia Symptom Tips, Important, Journal, Relationships, Symptoms and tagged arts, communication, dementia, relationship, strategy. Bookmark the permalink. So much great information & detail Tru! Thank you for all the ways you cope- Im going to try to incorporate them into my day. You are a Godsend.